Here are some great articles that argue against letting our young athletes focus on a single sport. The best player on the field is usually also the best athlete. 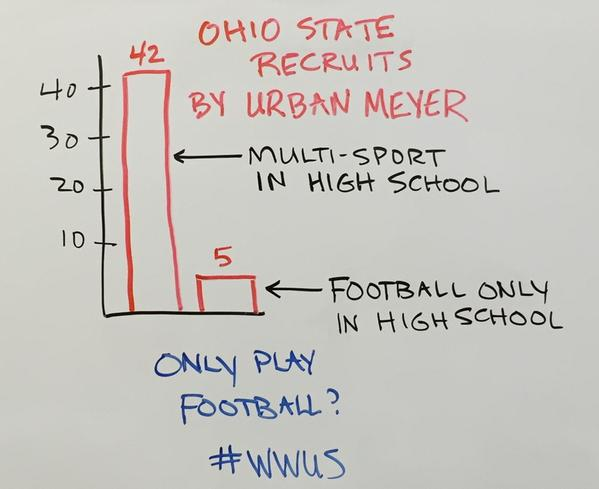 If the goal is to be the best athlete, we must not allow our youth to single out a single sport. At The 307 Athlete Academy, we believe young athletes are most effectively developed in the same way our athlete pyramid is structured. The 5 building blocks of our pyramid are, from base to crown, Attitude, Nutrition, Strength, Conditioning, and Sport.